BMW 4 Series Gran Coupe Performance, Engine, Ride, Handling | What Car? The entry-level engine is the 420i, a turbocharged four-cylinder petrol unit that can sometimes feel a little weak unless you absolutely nail it. Better is the 430i, a more powerful version of the 420i. But if you can stretch to it, the six-cylinder 440i is wonderfully refined, yet has a real sporting edge to its note and proper, hairy-chested performance. Arguably, though, it’s the diesels that will make the most sense for most drivers. They start with the 420d, an engine that is far more flexible and fuel efficient than the 420i. Our only complaint is that it is a little unrefined compared to the equivalent oil-burners in the Audi A5 and Mercedes-Benz C-Class Coupé. The automatic-only six-cylinder 430d is far smoother, has massive mid-range surge for truly effortless pace and yet is also impressively frugal. 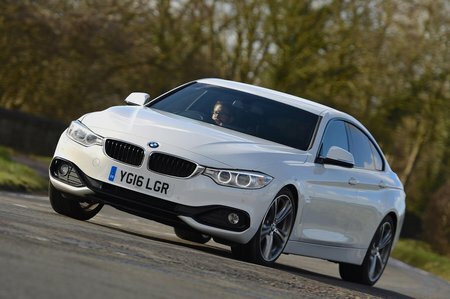 There's also a 435d xDrive that’s certainly fast, but also rather expensive to buy. Adaptive dampers are optional and well worth the money. 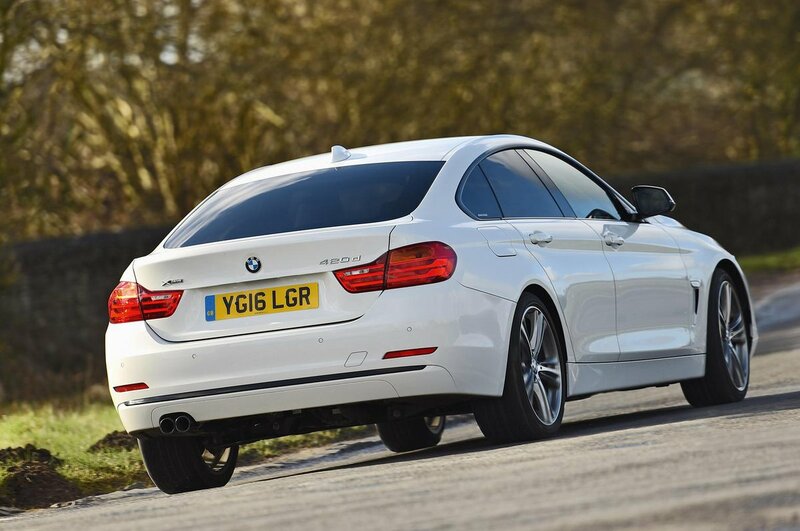 Where the standard suspension can thump over bumps and potholes, these let the 4 Series Gran Coupé ride most surfaces agreeably, considering its sporty character. In the softer Comfort mode, the body is never less than well damped and controlled, yet it offers greater pliancy than the standard suspension musters. You can firm it up in Sport or Sport+ modes for even tighter control and tauter handling when desired, though. Whichever suspension set-up you choose, you’re best off with the smaller wheels, rather than the 19in alloys, if you want the smoothest ride. With its accurate and responsive steering, the 4 Series is easy to place on the road and enjoyable, too, and could encourage you to opt for the windier route home simply for the hell of it. It offers more feedback than the A5 Sportback, and its rear-drive layout gives it a real feeling of delicacy in corners. Alternatively, most models can be had with xDrive four-wheel drive. This gives you more traction in tricky conditions, but does take a little fun out of the handling – gone is BMW’s traditional rear-wheel drive balance and the car wants to push wide at the front through corners earlier.